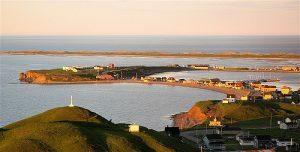 The Magdalen Islands are a remote and beautiful archipelago located in the Gulf of St. Lawrence. 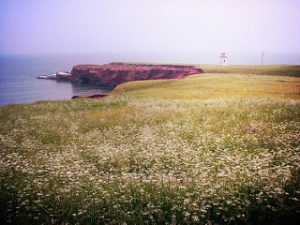 Though closer in proximity to Prince Edward Island, they are a part of Québec. 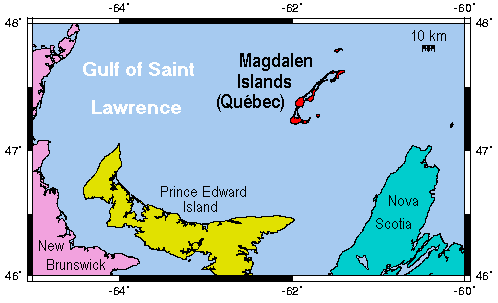 There are eight major islands that cover an area of approximately 80 square miles. Although the population descends in part from shipwreck survivors, in 1765 22 French speaking Acadians settled here. There are said to be upwards of 350 shipwrecks surrounding the islands, though only 15 have been found. The islands are very scenic and half are connected by narrow sand bars. 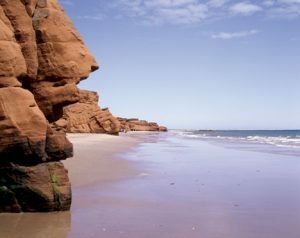 The outer edges of the islands are characterized in many places by sandstone cliffs that have eroded to form arches, caves and tunnels. Though the waters around the islands often tend to be rough, the many lagoons that have been formed by these sandstone formations can be great for swimming and can have a much warmer temperature, reaching up to 70 degrees in late summer. The islands are known for their food and culture and offer numerous activities from windsurfing and cycling to the world’s largest amateur sand castle building event.